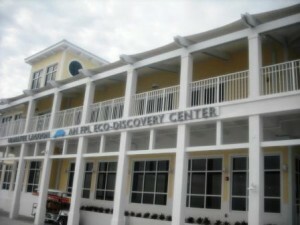 FPL’s brand new eco-discovery center. Adjacent to FPL’s Riviera Beach Next Generation Clean Energy Center where, manatees gather during cold snaps enjoying the plant’s warm 97 degrees water. 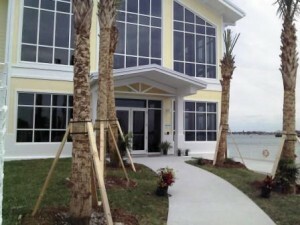 The 16,000 square foot, Key West style yellow 2-story facility overlooks the Intracoastal Waterway. 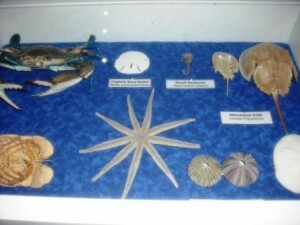 The Manatee Lagoon Discovery Center features two levels of exhibits for both adults and children, observation deck, meeting space, a boardwalk, picnic area, a pavilion, outdoor cafe and gift shop. 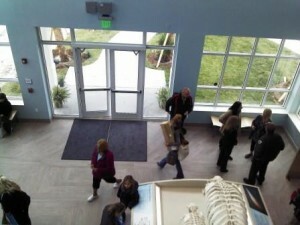 The facility provide both residents and visitors with ways to learn about the gentle giants and how to protect them. 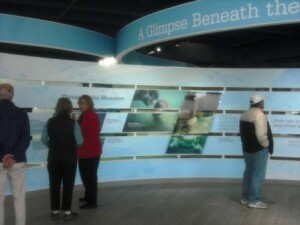 With interactive exhibits and indoor manatee webcam, the public can also view manatees up close if the weather is consistently cold enough. The best views are from the second story level. 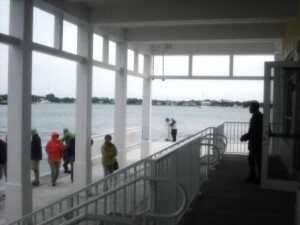 Manatee viewing at the new facility will be best when conditions are just right – sustained cold water temperatures over several days resulting in water thermometer readings of 68 degrees or less. 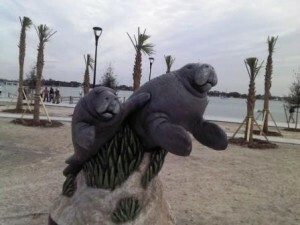 For many years now, visitors would come during cold weather to watch the manatees near the FPL plant but really had no real access. 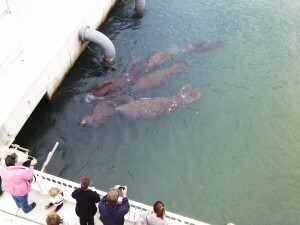 If you are planning a visit, check out their live webcam first to see if manatees are present. 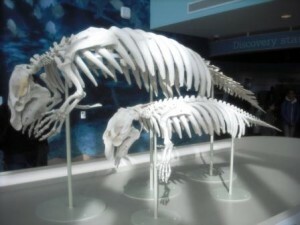 The manatee, also called a sea cow, is a gray, waterplant-eating, gentle giant that reaches eight to fourteen feet in length and can weigh more than a ton. 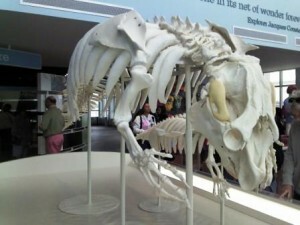 It was designated the state marine mammal in 1975. Manatees are on the endangered species list, but chances for their survival are good if humans’ activities can be controlled. 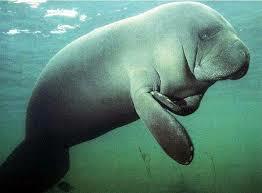 Of all the known causes of manatee fatalities, humans are responsible for about half of the deaths. The most-common cause of death for manatees is being struck by boats and barges. 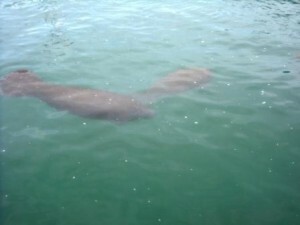 Also, the propeller blades of speeding boats can cut a manatee’s hide to ribbons. The Florida Manatee Sanctuary Act of 1978 and later regulations have limited the speed of boats in waters populated by manatees during winter months, when more than 1,500 of the creatures swim to warm bays and rivers to avoid pneumonia and death. 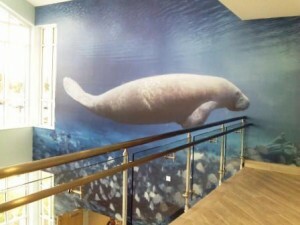 With the opening of this new Manatee Lagoon Discovery Center, it will certainly be one of the top attractions in Palm Beach County. 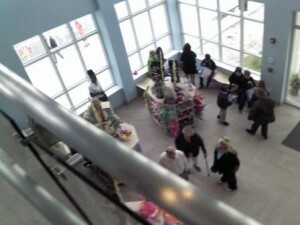 For more information, please click here fo r their website.